Violence against women is a violation of women’s human rights and a priority public health issue. It is endemic worldwide. While much has been written about it in industrialized societies, there has been relatively little attention given to such violence in Asian societies. This book addresses the structural and interpersonal violences to which women are subject, both under conditions of conflict and disruption, and where civil society is relatively ordered. 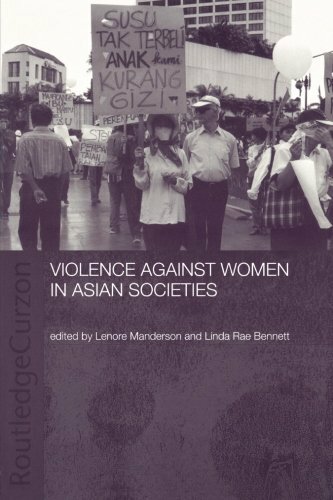 It explores sexual violence and coercion, domestic violence, and violence within the broader community and the state, avoiding sensationalised accounts of so-called cultural’ practices in favour of nuanced explorations of violences as experienced in Cambodia, Thailand, Burma, Indonesia, Malaysia, the Philippines, Bangladesh, and India. Lenore Manderson is an inaugural ARC Federation Fellow and Professor of Medical Anthropology at Monash University. She has conducted research in anthropology, social history and public health in Australia, South East and East Asia, and Africa, and has a broad interest in social inclusion, inequality, health, illness and wellbeing, and the social and political-economic factors that shape the human condition. She is co-editor of Chronic Conditions, Fluid States (2010) and author, among other works, of Surface Tensions (2011).